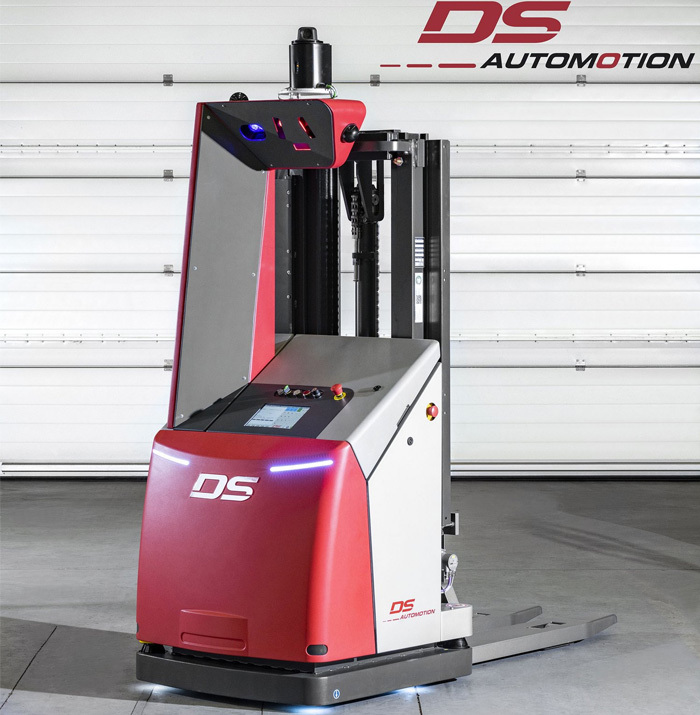 For over 30 years, DS AUTOMOTION GmbH with its company headquarters in Linz has been specializing in the development and production of Automated Guided Vehicle Systems (AGVs) and has become one of the world's leading suppliers in this segment. Apart from general AGV logistics applications in various branches of industry, DS AUTOMOTION has specialized, in particular, in the sectors Automotive, Print & Paper, Hospital & Healthcare, Agriculture as well as Intralogistics. Our scope of services mainly comprises system implementations based on specific customer preferences. For the main part, we build Automated Guided Vehicles ourselves, which means that customer requirements can be considered. This is applied Industry 4.0! 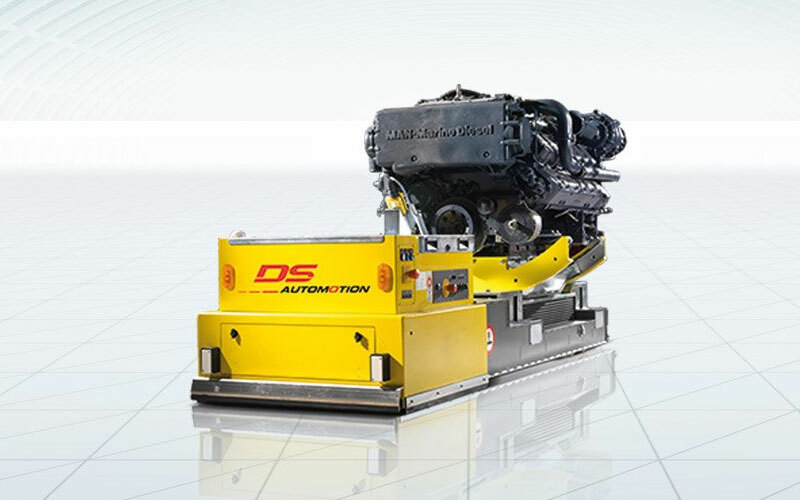 For 35 years, DS AUTOMOTION GmbH with its company headquarters in Linz has been specializing in the development and production of Automated Guided Vehicle Systems (AGVs) and has become one of the world's leading suppliers in this segment. Apart from general AGV logistics applications in various branches of industry, DS AUTOMOTION has specialized, in particular, in the sectors Automotive, Hospital & Healthcare, Agriculture as well as Intralogistics. Our scope of services mainly comprises system implementations based on specific customer preferences. For the main part, we build Automated Guided Vehicles ourselves, which means that customer requirements can be considered. This is applied Industry 4.0! 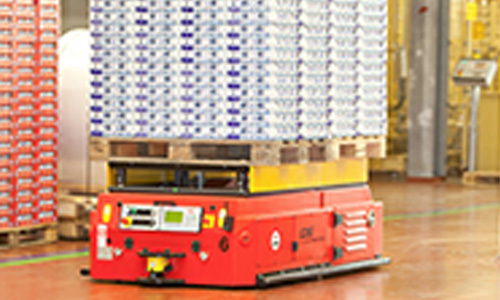 Flexible system solutions for picking, assembly and handling in production or assembly lines. DS AUTOMOTION specializes in AGV solutions for the Automotive Industry. 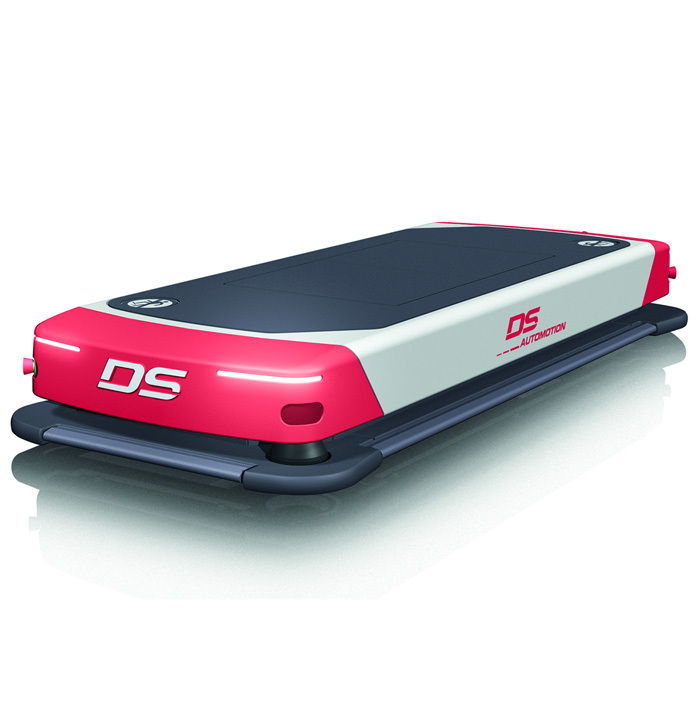 Reliability, efficiency and flexibility characterize the innovative DS AUTOMOTION solutions. Automated Transport Systems (ATS) for Healthcare logistics. 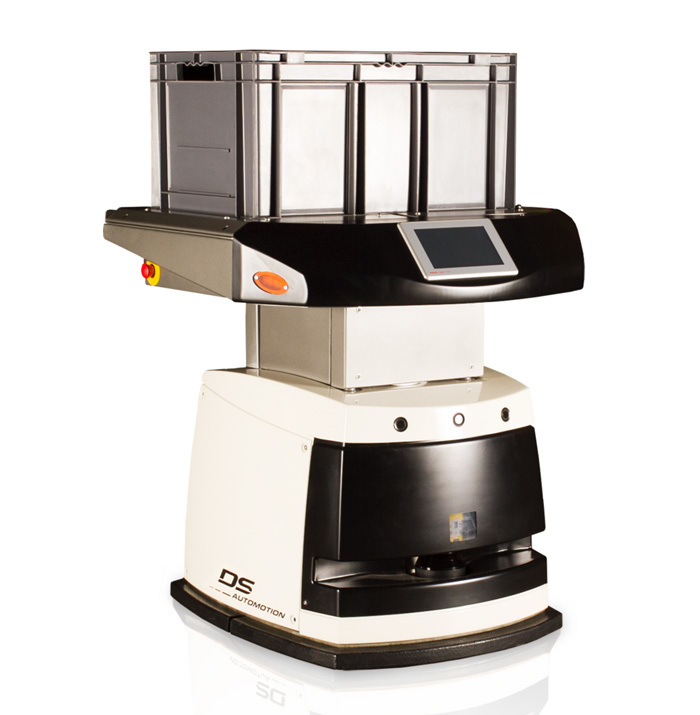 DS AUTOMOTION specializes in AGV solutions for the Hospital and Healthcare industries. Reliability, efficiency and flexibility characterize the innovative DS AUTOMOTION solutions. Tailored solutions for customer - specific transport requirements. DS AUTOMOTION specializes in AGV solutions for the Intralogistics. Reliability, efficiency and flexibility characterize the innovative DS AUTOMOTION solutions. Our applications in the field of agricultural machinery are designed for high payloads and stand out due to their robustness. This applies to the fields of both logistics and flexible production. Production figures are often subject to considerable market fluctuations, especially where long product cycles are concerned. 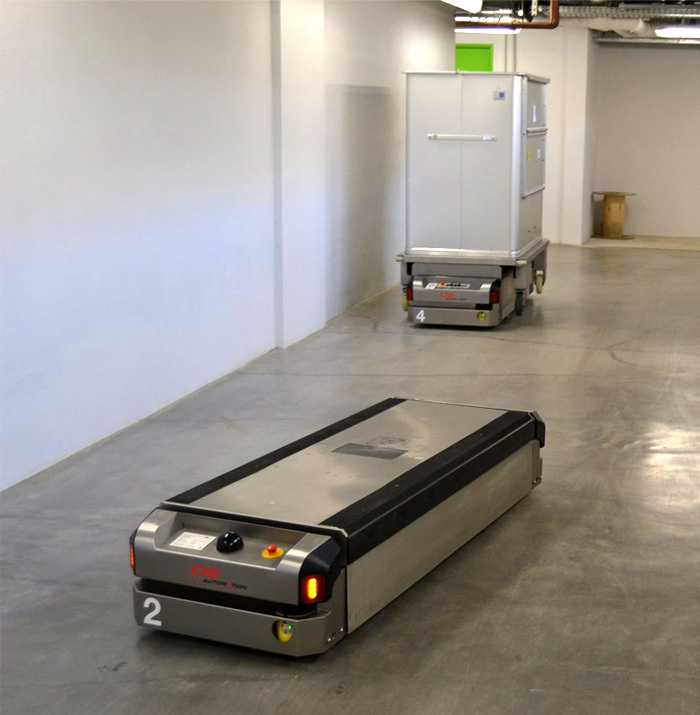 Automated guided vehicle systems afford the required flexibility to achieve the best possible efficiency in this special production environment. DS AUTOMOTION offers many years of experience in the field of agroindustry. Our solutions are characterized by reliability, economic efficiency, and availability. integrate it into existing systems. continuously improved and developed further. OSCAR takes on all kinds of transport tasks. Palettes, containers, racks or rolling containers are conveyed between storage and production. 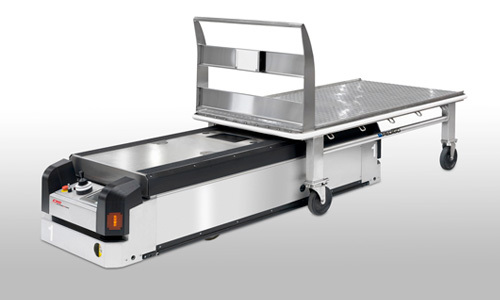 Due to its smart and compact design, OSCAR drives under the load to lift it up. 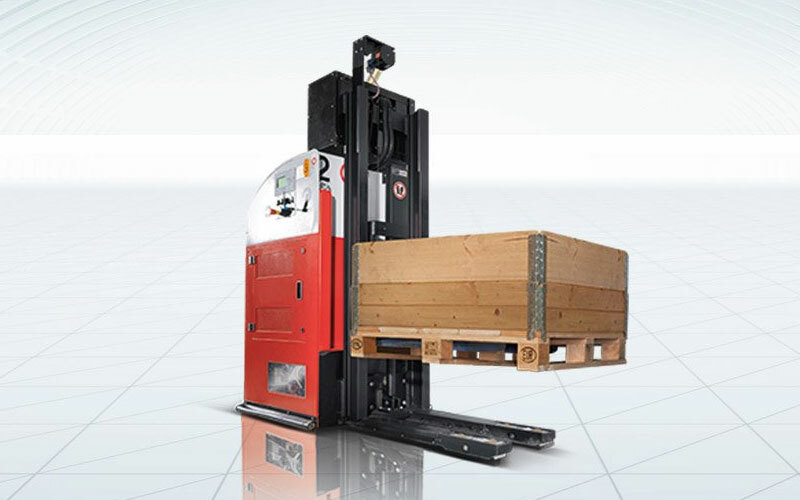 Thus, the vehicle can replace a forklift and excels with perfect functional safety. Yet, OSCAR is capable of much more: Its differential drive allows turning on the spot. 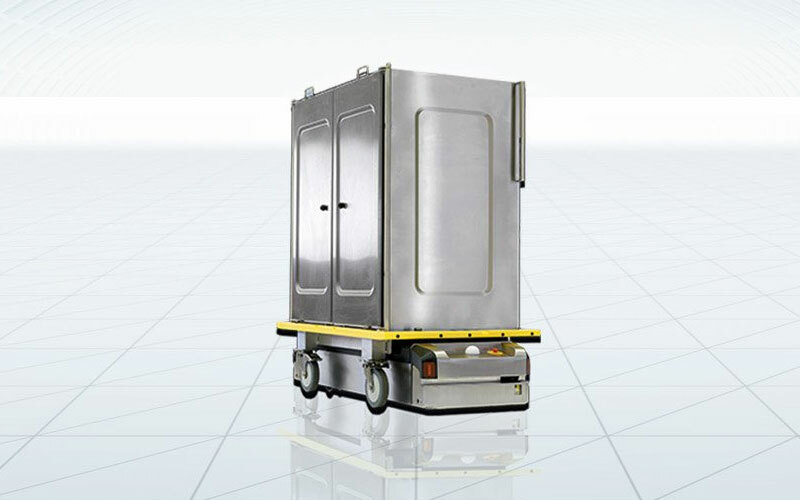 Another advantage is bidirectional navigation: The symmetric design allows arrival, loading or unloading and departure in a single step without turning the vehicle. This saves time and optimizes throughput. As system providers, we can supply everything from a single source, from interface management to control software to route planning. Automatic recharging of batteries during low-production periods; additional battery changing station in times of high production. The Cleveland Clinic is a multidisciplinary medical center based in Cleveland/Ohio. It is known worldwide for its first-class cardiological department. The task was to connect the newly built service center with the clinic buildings, some of which are situated a little further away. CleverMax is a simple and inexpensive vehicle featuring proven technology and a standarized, modular design for industrial applications. The driving course can be configured individually by the operator. CleverMax can travel a 90 degree curve at a radius of 1,000 mm. LMS, which is a 100% subsidiary of Ferrostaal Automotive GmbH in Essen, is a neutral service provider with approx. 420 employees. 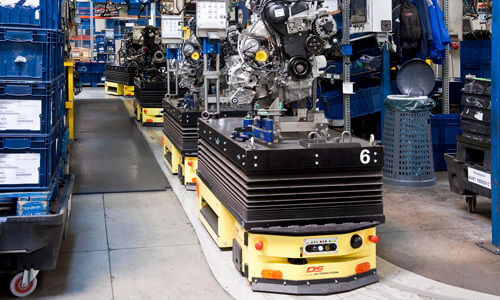 Every 32 seconds a motor has to be ready at the final assembly line in the Ford factory. This demand takes priority over each and every activity. A longer malfunction of one member may lead to a stoppage in the production of Ford and, consequently, to damage running into millions.